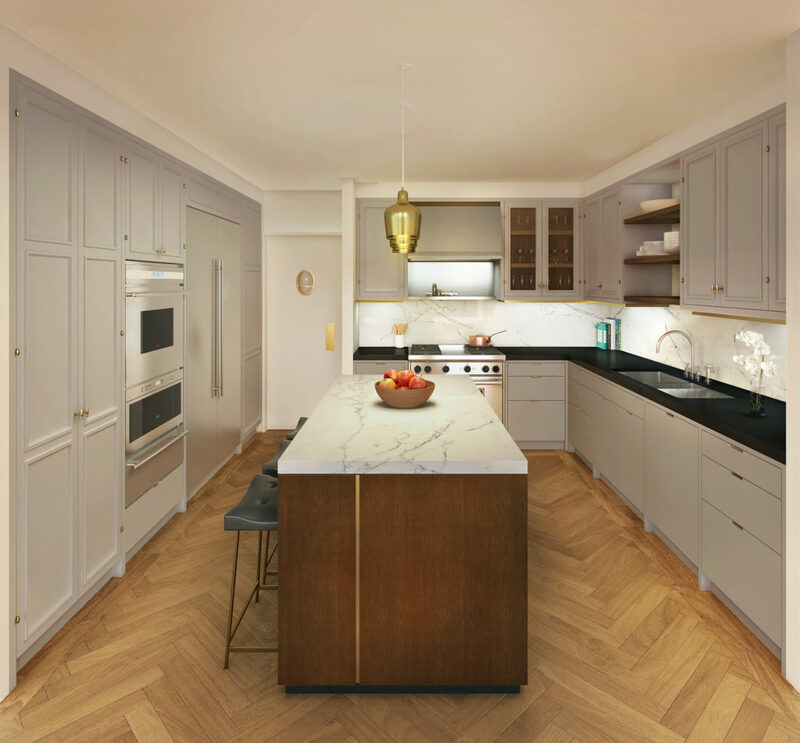 -Located in the West Village, at 275 W 10th Street, the Shepherd offers exquisite kitchens designed by Gachot Studios with cabinetry built by the much acclaimed firm, Smallbone of Devizes, and all appliances from Miele. The cabinets made of solid mahogany, are detailed with custom Valli hardware of unlacquered brass and satin nickel complementing classic and of the moment design. Beautiful statuary white marble island counters are mixed with durable honed black granite work surfaces. 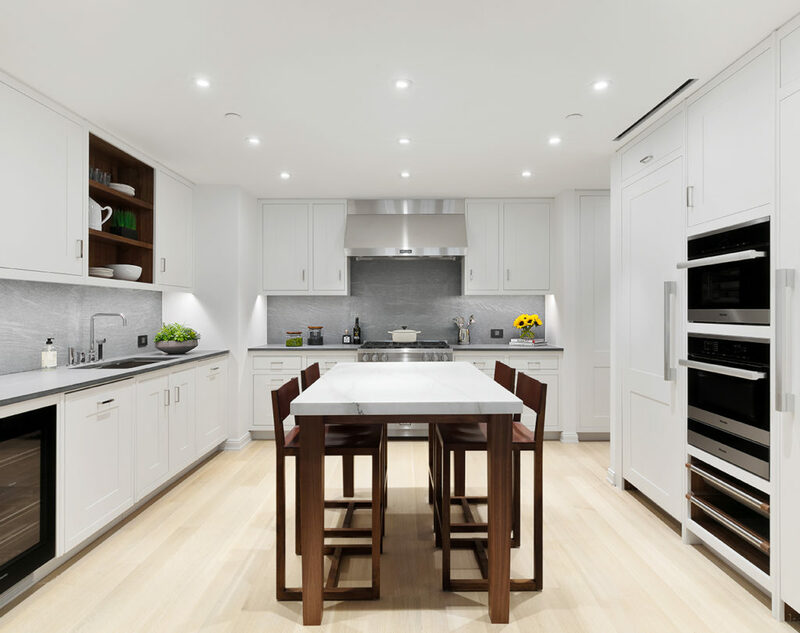 -Located on a quiet tree-lined street on the Upper West Side, the kitchens at 221 West 77th Street were designed by the renowned firm, Smallbone of Devizes. 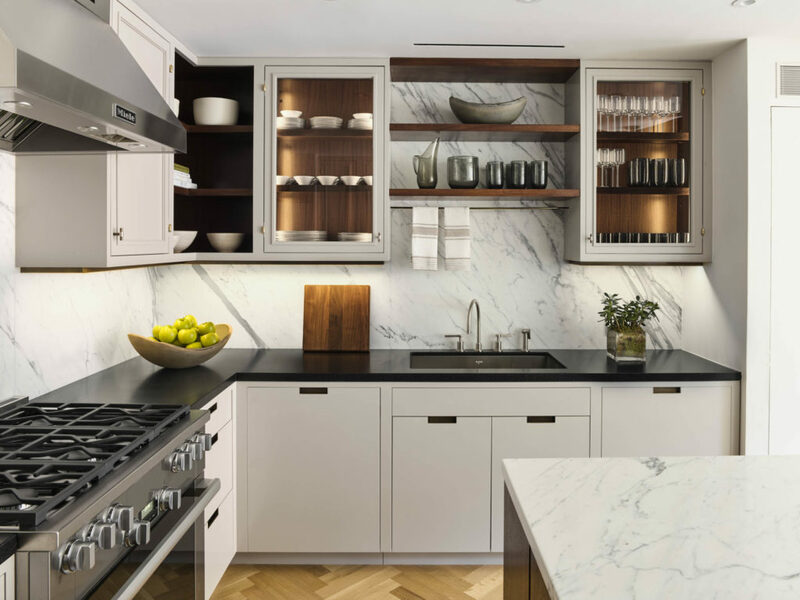 The kitchens feature Miele appliances, solid white oak floors, Marianna Soapstone counter tops and backslashes, Dornbracht fixtures, and a stunning Potomac Marble customized Walnut table.